Sandër Lleshaj is officially the Interior Minister of Albania. 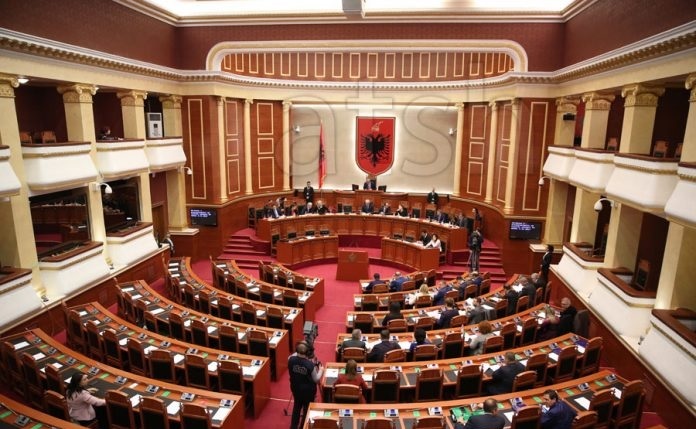 In a marathon session, the Assembly voted today with 77 votes the decree of President Ilir Meta. Lleshaj is expected to swear an oath tomorrow in the Presidency. The name of the General, proposed by Prime Minister Edi Rama as a successor of Fatmir Xhafaj at the helm of one of the country's most important ministries, caused a clash between the majority and the president. The head of state refused to enact Lleshaj with the claim that he held the rank of active military, even though he was freed from the position of the Chief of Staff of the Armed Forces since 2012, and therefore Rama's proposal was a fundamental constitutional issue. But Lleshaj gave up by himself voluntarily the military uniform, thus asking to Meta the enactment. An option that also found the Prime Minister's agreement. Last Saturday, Meta decreed Lleshaj's release as a military one and the day after, he signed a decree on his appointment as Interior Minister.